Available only during Autumn, these Cuppies are just perfect for any person who loves our Cuppies and Pumpkin Pie, but can't decide! The custard is made with all-natural ingredients and real pumpkin (never from cans) and topped with a Honey-Roasted Pecan for that extra bite of flavour! 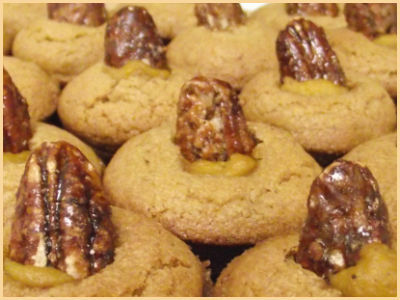 24 Cuppies per batch - Sorry, only available while pumpkins are around (September-October)! Check out our other Seasonal product, Chocolate Peppermint Bonbons (only available during the Holiday season).